Successful treatment of ﻿﻿﻿﻿﻿﻿﻿﻿﻿﻿﻿﻿amblyo﻿﻿﻿pia﻿﻿﻿﻿﻿﻿﻿--﻿﻿sometimes called lazy eye--depends on following the doctor's instructions for patching, wearing glasses, and/or using atropine drops. This sounds simple, but in real life, it can be such a challenge! Our patients and their parents are succeeding at this every day. Mean (average) visual acuity after treatment is 20/20 to 20/25. and 75% make it all the way to 20/20. Congratulations to our patients and their parents for this achievement! To learn m﻿﻿ore ab﻿﻿out amblyopia, click here. Str﻿﻿﻿abism﻿﻿﻿us, or misali﻿﻿gnmen﻿﻿t of the eyes, is also often called lazy eye. Strabismus may be present from birth, or may develop later in childhood or even in adulthood. Strabismus may be treated with glasses, eye exercises, prisms, or surgery. When other eye problems, such as amblyopia or cataracts, are the cause of strabismus, they are treated first. In our practice, surgery is recommended only when other options have failed. In comparison, success rates range from 60% to 80% in most publications. ﻿Myopia, or nearsightedness, is becoming a more and more common problem of childhood. ﻿Researchers have discovered a simple way to slow the progression of myopia by using ﻿﻿atropine eyedrops﻿﻿. ﻿We have been prescribing these drops for our patients since 2014 with good results. An update of this research was presented at the November 2015 meeting of the American Academy of Ophthalmology, where half of the ﻿ophthalmologists attending indicated that they are prescribing atropine for their nearsighted patients. Another presentation at the same meeting convincingly linked the worldwide increase in myopia to decreased time spent outdoors during childhood. For this reason, we strongly urge you to send your children outside to play every day. To learn more about atropine for the treatment of myopia, click here. Ocular allergy is inflammation caused by a reaction to pollen, mold, dust mites, pet dander, or other allergy-causing substances. ﻿The most common symptom of ocular allergy is itching, which is sometimes intense. Other symptoms include redness, tearing, and a stringy discharge. 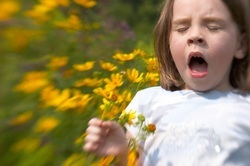 To learn more about controlling allergy symptoms, click here. 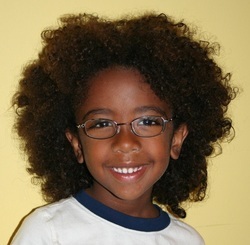 The AAPOS website is the most reliable online source of information about children's eye conditions. The Yale Center for Dyslexia and Creativity was founded by Dr. Sally Shaywitz and her husband, world experts on reading and dyslexia. This website is a powerful source of information for parents and for educators committed to helping those with reading problems. ﻿The International Dyslexia Association (IDA) is a non-profit organization dedicated to helping individuals with dyslexia, their families, and the communities that support them.